to professionals from continuing, corporate and higher education industries. presentation design, audio editing, online course production, etc. 1. Upload the presentation file to your account at Penxy.com and you will get a unique web address for it. 2. Open that address and display your presentation via webpage on a big screen for your audience. 3. 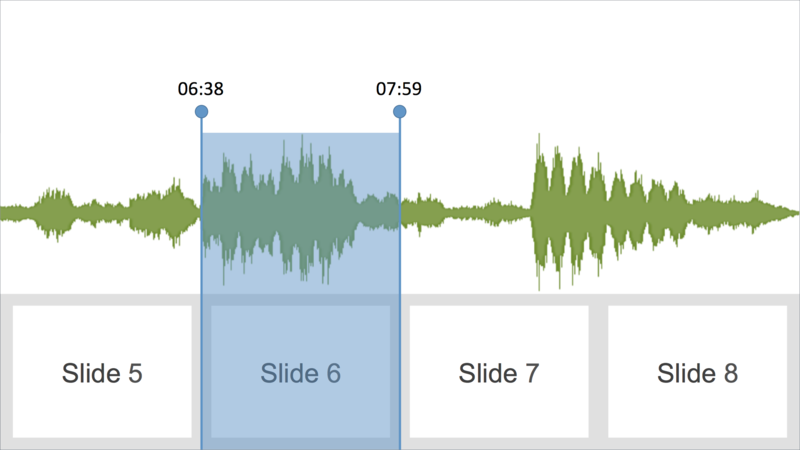 The speaker can advance slides same way. 4. The webpage records the speaker’s voice via connection to audio panel. 5. The webpage will automatically create and upload an interactive narrated presentation – Talking Slides, that will be available at unique link for viewing or embedding. 6. Edit your Talking Slides using simple web-interface. The process of recording our Annual Conference was so much easier and saved us 50% of budget over previous years. Also, the recordings were available within minutes of the conclusion of the session, rather than having to wait nearly 2 months before receiving them previously. The staff at Penxy, were tremendously helpful before, during and after the event. Our members often request our educational sessions at conferences be recorded but we were unable to afford it until we found Penxy. Penxy offers us a low cost option and promises a high quality product with easy implementation. We have had great results. We look forward to working with them on future conferences and have recommended them to many other groups. Working with Penxy was an amazing experience. The process was simple and the results exceeding our expectations. I highly recommend if you are looking for a recording company that you talk with Penxy prior to making a final decision. Penxy provided us with a cost effective solution of capturing content for future on-line distribution. It was an easy process and the turn around time was amazing. Looking forward to working with them again next year. We worked with Penxy to repurpose some content we had from one of our conference events. Within that process, they were able to customize the content in a very timely manner and deliver the specifications we provided. They were quick, attentive, and very easy to work with. The positive experience we had with them has led us to continue the relationship for future events. Penxy offered us a cost-effective solution to share speaker presentations with our audience in a matter of minutes, by matching the slides to the recorded audio. The Penxy interface is very easy to learn and use. We were pleased with the quality of the recordings, and the support at the event let us maximize the value of the event for both the presenters and the audience. We chose to work with Penxy on a large client project to transition traditional instructor-lead training programs into online courses. Penxy has been extremely professional and responsive throughout the engagement. The platform is robust yet easy to use, and affordable. We had a great experience with Penxy. We highly valued their individualized service, accessibility and commitment to customer service as we used their app to record our annual meeting sessions. We now have these recordings available for many others to enjoy. Thank You Penxy! By recording speaker presentations at our international forum rASiA.com with Penxy we’ve reached more than 2,000 people online. Considering that setup was simple and fast we are definitely going to use it further. With hardly any effort, you get an awesome multimedia version of your talk with slides plus audio that you can embed on any web page. Penxy has created an amazing product that all speakers should try out.